Easy-to-maintain product offerings, bundles, meters, and revenue recognition rules. Easy to set up and offer trials to your prospects. 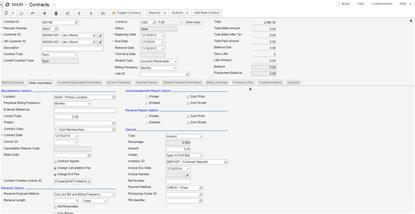 Customers can be set up to receive invoices by email, print, or both. You can up-sell, cross-sell, or add on products and any time. Easy-to-maintain product offerings, bundles, meters, and revenue recognition rules. Flexible product accounting rules handle even the most complex requirements. Supports both tangible and intangible goods. Pricing can be assigned by customers, products, and with promotions and quantity breaks. Effective date pricing will automatically change at the appropriate times. Flexible renewal pricing and rules can be assigned at contract creation. time. 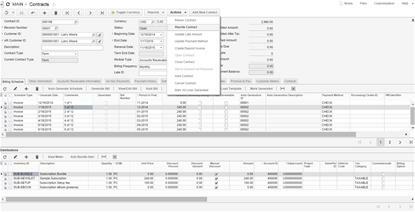 Customers can be set up to receive invoices by email, print, or both. 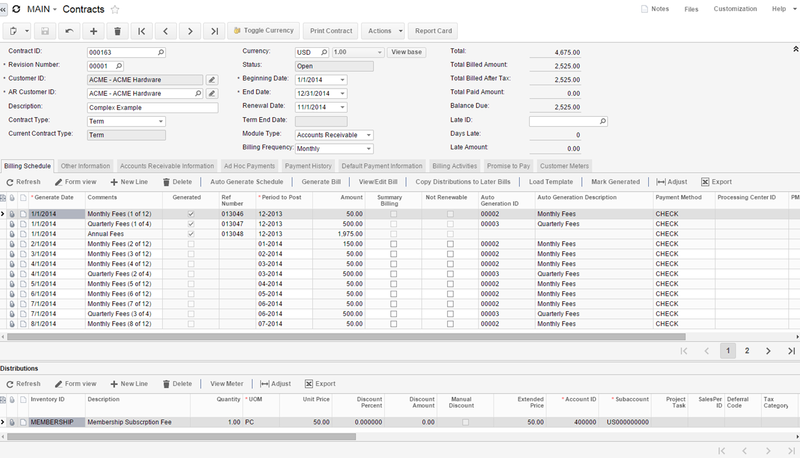 Set the message and invoice format by customer class or individually by customer. Other messages include credit-card expiration, dunning notices, renewal notices, and much more. You can up-sell, cross-sell, or add on products and any time. Flexible rules let you rewrite the contract and change virtually any aspect of the subscription agreement, including customer. Trial Setup: Easily set up trials of any duration and at any price. 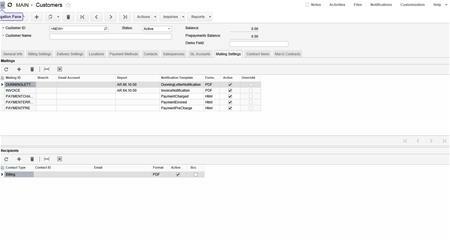 Subscriptions can be set to start billing automatically at trial end or wait for an acceptance event to take place. • Perpetual (bill until cancelled). • Any combination of usage-based, tangible, and intangible items (hours, warranties, licenses, SAAS, maintenance) items. • Trials, deposits, pre-bill, post-bill, bundles. • Promotions with effective date pricing. • Unlimited combinations of one-time, recurring, and usage-based pricing. Manage complete life cycle from start to finish. Track renewals, billing, and revenue recognition forecasts. Support multiple subscriptions to a single customer. Advanced Revenue Management from MaxQ Technologies provides a powerful billing, collection and revenue recognition solution that will help you manage your business more effectively.